Elina Svitolina defeated the American Madison Keys in three sets. Opponents spent 1 hour and 36 minutes at the court. In the first set, Svitolina took two breaks in her possession and in the second episode, Kies was already able to play two games on the Ukrainian side. In the deciding set, the girls fought more than 15 minutes on the deployment of Svitolina with a score of 1-1. The American had 5 chances to take a break, but Svitolina retained her game and then extended the successful series to a victorious finish. Elina Svitolina scored 3 aces in this game, 4 double errors, 22 winners and 16 unforced errors. Madison Keys completed 3 aces with one double foul, 37 winners and 34 unforced errors. Svitolina plays for the second time in his career in the quarterfinals of the Australian Open. Her next opponent is determined in the match Naomi Osaka (Japan, WTA 4) – Anastasia Sevastova (Latvia, WTA 12). Ukrainian women now have 46 wins in Grand Slam tournaments. Last season, Svitolina won the third round of matches for the first time and finally reached the quarterfinals. Previously, the 24-year-old tennis player played twice in the quarterfinals at Roland Garros (2015, 2017). 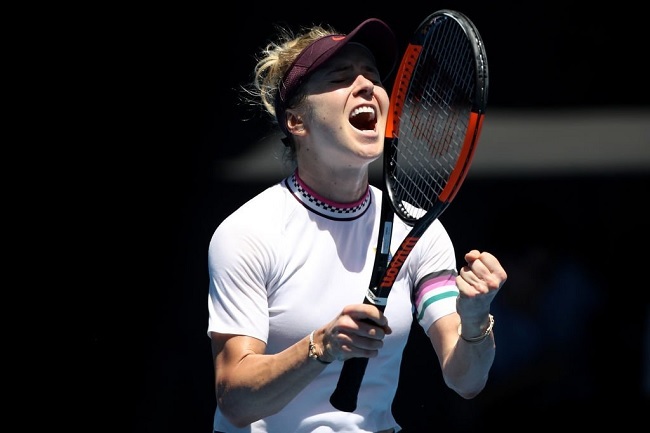 With Roland Garros-2016 and the victory over Ana Ivanovich (WTA # 16) in the third round, Svitolina could not win any match with the opponent from the top 40 in Grand Slam tournaments until today's game. Quarter-finals – the best result for Ukrainians in Australia in singles. Andrey Medvedev (1995) and Alexander Dolgopolov (2011) also played among our tennis players at this stage. No representative of Ukraine had previously managed to reach the quarterfinals twice in two different majors.